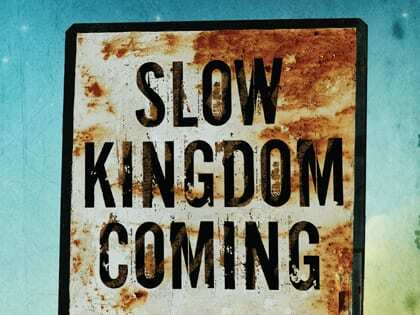 Slow Kingdom Coming is an honest invitation to the lifelong kingdom posture of loving the world through mercy and justice. Kent Annan’s contribution in this category is timely, as the “justice movement” in the U.S. is beginning to turn a corner. We are moving from an emphasis on heroines and heroes to understanding that lasting change and impact is, indeed, a slow and steady walk in the same direction. Incredibly accessible, Slow Kingdom Coming is relevant for newcomers to the “justice journey” as well as those who lead the largest and most effective nonprofits and NGOs of our day. Bethany Hanke Hoang and Kristen Deede Johnson have contributed a true gift to the global church in this critical book. Their unique voice in the world of justice is unmistakable, and this book stands as a powerful and important advancement in our deepening theology of kingdom justice. EVALUATED BY R. YORK MOORE, founder of the Price of Life movement, a national anti-trafficking campaign offered on college campuses and in cities through InterVarsity Christian Fellowship USA.